You’ve probably heard some folks say that you need to get on the ‘waiting lists’ for infant care, toddler care, preschool, etc. as soon as possible. Be prepared to pay ‘placeholder’ fees, tuition fees for ‘classes’ that you’re required to take, and orientations for prospective parents. And you’ve probably also heard them say that if you waited until your kid was born, you’re probably too late. I hate to bust your balls, pal, but “they” were probably right. It turns out, depending on where you’re thinking of putting your kid and when you plan to placing them there, the right time to start investigating child care is… well… totally random. Some places required that you be on their list a FULL YEAR & HALF in advance. That’s right: Before the baby was even CONCEIVED. Others have long lists that you have to put yourself on, where you may get bumped to the back due to where you live or what social status you have. The bigger problem however is that on the Westside of Los Angeles, there are VERY few day cares. Infant care is virtually nonexistent. Toddler care is better but it’s still difficult. Bottom line: As soon as you know you’re going to need a preschool, get movin’ rookie. Fortunately, there are a few references out there that’ll give you a place to start. Here are two books I picked up that provided some guidance, along with easy to reference telephone numbers. These are books about Los Angeles PRESCHOOLS and not all preschools provide “infant care” or “toddler care” before your kid reaches preschool age so you’ll just need to read and find out which work for your needs. 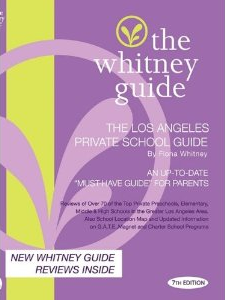 Personally, I found the “The Whitney Guide” to be much more complete however often surprisingly lacking in accuracy in the commentary. 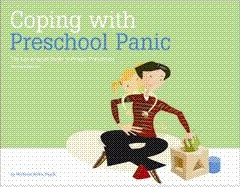 The “Coping with Preschool” book was much more on the spot, despite being 2 years old however it only covers some 30 schools and most are NOT on the Westside LA. Nonetheless, I actually felt a lot better having read through at least these two references before we started picking and engaging schools. Just this February there was an article written in the LA New Mom Examiner about this exact topic for folks with kids in Los Angeles. Sharon Bordas recommends the same books I’ve put into this post …probably because they’re the ONLY books out there. This entry was posted on Monday, January 2nd, 2017 at 5:21 pm and is filed under Uncategorized. You can follow any responses to this entry through the RSS 2.0 feed. You can leave a response, or trackback from your own site.